Find out a little more about the Phoenix NMR products available through TalaveraScience! Phoenix NMR manufacture and service solid state NMR probes. TalaveraScience is the sales agency for Phoenix NMR throughout Europe, in Australasia and India. 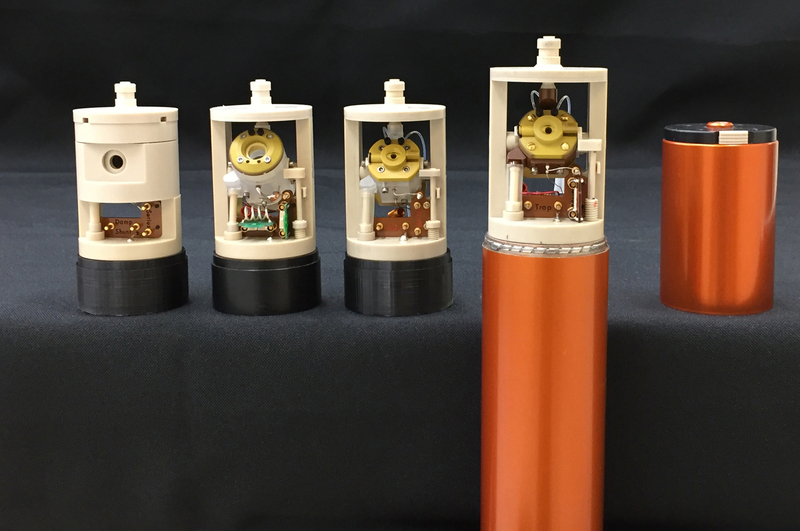 Interchangeable Phoenix HXY Probe Heads are available for static horizontal samples, 1.2 mm, 1.6 mm (pictured to the left), 3.2 mm, 4 mm, 5 mm and 6 mm. There is a lock channel option for the 1.6 probe heads. 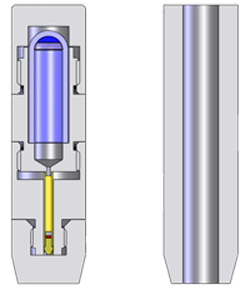 The VT exhaust is visible on the top of the probe head and interfaces with a funnel which passes through the solution state spinner assembly in the magnet. The VT input is on the Phoenix HXY Probe Base. 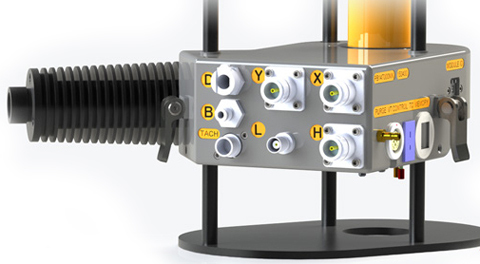 The Phoenix HXY Probe Base, depicted below, shows the available RF connections, the CamLock mechanism for holding the probe in the probe frame, the distinctive VT input with heat sink (the black item on the left) to avoid condenstaion and ice formation when running cold, Tachometry is compatible with most NMR spinning speed controllers (if not please see below for the Phoenix NMR spinning speed controller) making the probe highly versatile and future proof. Please contact us if you would like to receive specifications and example manuals at info@talaverascience.com. 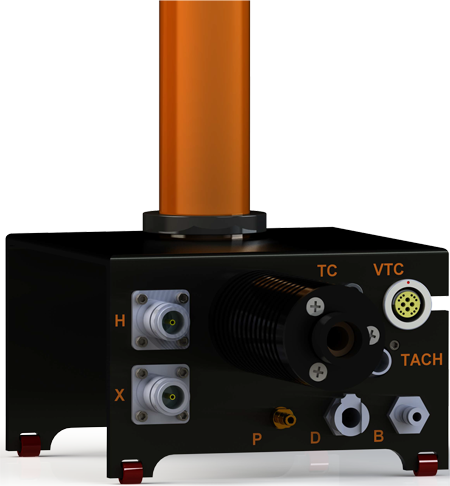 The Phoenix HX Probe is a cost effective high performance solids MAS double resonance probe ideal for narrow (standard) bore magnets with or without high power amplifiers (50 W 1H and 100 W X amplifiers provide almost enough power to approach the maximum RF amplitude specifications) and is compatible with all of the manufacturers' NMR spectrometers. Ideal for solids capability on liquid state NMR spectrometers when equipped with the Phoenix NMR spinning speed controller. Depicted on the left is an example of the fixed probe head spinning system. 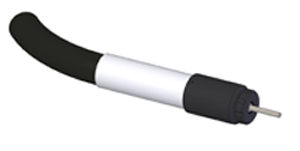 The Phoenix HX Probe is available from 300 to 700 MHz with spinning systems including 1.6 mm, 3.2 mm, 4 mm, 5 mm and 6 mm. 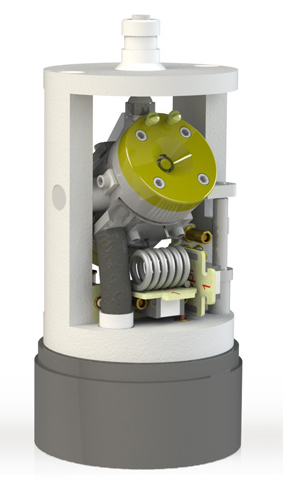 The VT exhaust which interfaces with the VT funnel can be seen on the top of the spinning system as for the Phoenix HXY probe. The 1H channel is tunable down to 19F with a simultaneous 1H/19F option available to give the Phoenix HX probe a HFX configuration! The X-channel is tunable from 31P to 15N. In the picture above the RF channels and various connections are shown on the Phoenix HX probe base. Variable temperature operation is similar to that of the Phoenix HXY Probe with a slightly reduced temperature range. As with the Phoenix HXY Probe, there is a minimal temperature offset and gradient. The Phoenix NMR MAS Spinning Speed Controller includes a touch screen interfaced pneumatic control system with auto calibration for unknown spinning modules or for extreme conditions with an unlimited number of profiles. It allows for instant switching between manual and auto modes, full automation from start to finish, automated PID tuning and continuous time stamped logging of all system parameters! Compact 14"/356 mm wide x 6"/152 mm tall x 10"/254 mm deep instrument quality case. A range of accessories is available including the low-gamma box, the Phoenix Cool Stream for extended low temperature experiments, BioSolids sample packing tools, prepacked NMR standards rotors and probe servicing. The Phoenix Cool Stream provides variable temperature operation from -125 to +100° C at flow rates up to 40 lpm. The PCS variable temperature system is designed to fit virtually any solids and liquids NMR system. It has a very small footprint (2'/60 cm diameter x 3'/90 cm height), is non-magnetic and has multiple flexible delivery line lengths available. The 50 litre liquid nitrogen dewar is refillable during operation without experimental interuption and has a minimum run time of 36 hours. The variable temperature adapter connects a PCS or FTS trunk to a Phoenix NMR probe and to a Varian or Agilent solids VT stack with minimal loss between the outlet and probe input. 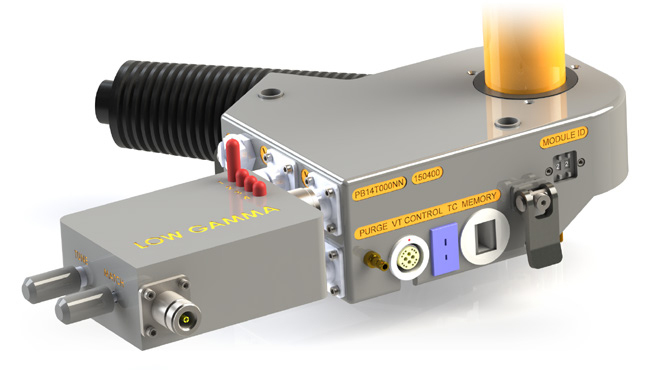 The Phoenix NMR Low Gamma accessory is pictured to the right connected to a Phoenix HXY probe and extends the low frequency channel below 15N down to 15 MHz for both the full range of Phoenix HXY and Phoenix HX NMR probes. If you have a low gamma accessory from your previous T3 probes, such as a Varian or Agilent low gamma accessory, then you will find that these are compatible with Phoenix HXY and HX NMR probes. Please speak to us if you need to access resonance frequencies that are below 15 MHz to see if we can extend the frequency range lower. Phoenix NMR offers BioSolids sample spacers and centrifuge sample packing tools for 1.6 mm and 3.2 mm rotor sizes. These tools, along with the moulded silcone spacers make it easy to efficiently transfer your pelleted sample from 200 µl ultracentrifuge tubes into a ready to use rotor that will keep your sample hydrated. If you are interested in spacers and tools for a different rotor size, please contact us with your request. utilising the BioSolids sample spacers. An additional rotor is available to initially shim on 1H to aid final lineshape on 13C. Do you need a different size? Just ask!